Just after 6:30 pm on Mar. 22, Combined Maritime Forces (CMF) warship HMAS Stuart (FFH 153), assigned to CMF’s counter-piracy mission Combined Task Force (CTF) 151, badly damaged a skiff, successfully disrupting the activities of a group suspected of being involved in acts of attempted piracy. 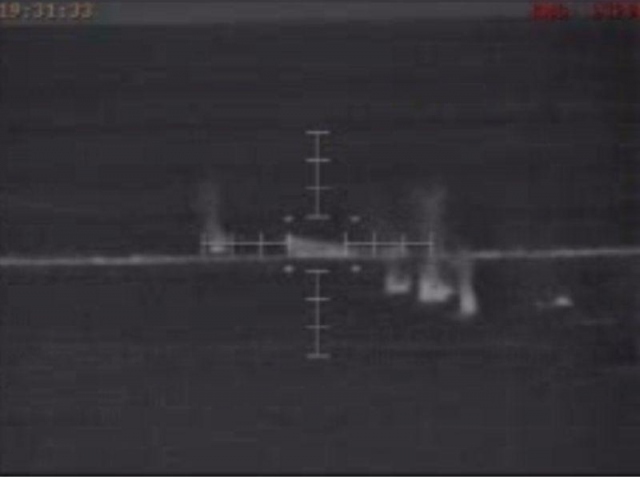 Stuart was scanning the Arabian Sea for suspicious activity when the Bulk Cargo Carrier MV Sinar Kudus, pirated on Mar.16 and known to be acting as a mother ship to launch attacks on other vessels, was seen 230 nautical miles south east of Salalah, Oman. The ship was towing an unmanned small skiff, commonly used by pirates to launch their attacks. Stuart was directed to intercept the MV Sinar Kudus and after monitoring the vessel, launched an operation to put the skiff out of action using sustained fire from the ship’s Mini-Typhoon machine gun. No fire was directed against the MV Sinar Kudas.